As the projected date for a manned mission to the Red Planet approaches, the Mars Science Laboratory and Curiosity team continue to conduct vital research into what a human team of explorers can expect to find. Unfortunately, earlier last month, that research led to a discouraging announcement which may force NASA and a number of private companies to rethink their plans for manned missions. Earlier in May, a number of scientists, NASA officials, private space company representatives and other members of the spaceflight community gathered in Washington D.C. for a three day meeting known as the Humans to Mars (H2M) conference. Hosted by the spaceflight advocacy group Explore Mars, the attendees met to discuss all the challenges that a 2030 manned mission would likely encounter. For starters, the human race currently lacks the technology to get people to Mars and back. An interplanetary mission of that scale would likely be one of the most expensive and difficult engineering challenges of the 21st century. Currently, we don’t have the means to properly store enough fuel to make the trip, or a vehicle capable of landing people on the Martian surface. Last, and most importantly, we aren’t entirely sure that a ship will keep the astronauts alive long enough to get there. This last issue was raised thanks to a recent confirmation made by the Curiosity rover, which finished calculating the number of high-energy particles that struck it during its eight month journey to Mars. 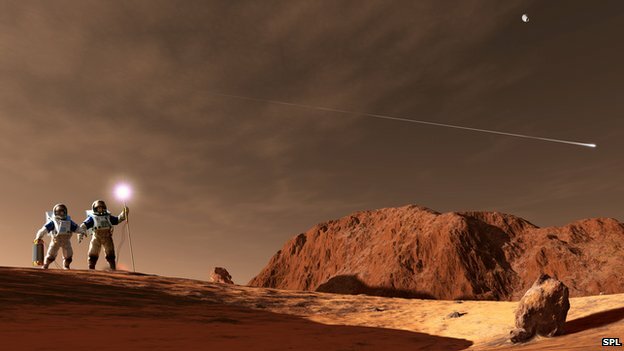 Based on this data, NASA says that a human traveling to and from Mars could well be exposed to a radiation dose that is beyond current safety limits. This was performed with the rover’s Radiation Assessment Detector (RAD) instrument, which switched on inside as the cruise vessel began its 253-day, 560-million-km journey. 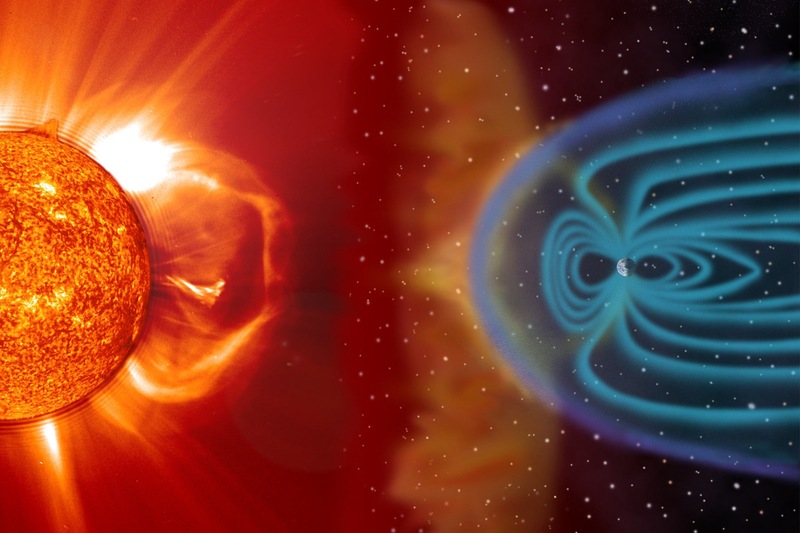 The particles of concern fall into two categories – those that are accelerated away from our Sun and galactic cosmic rays (GCRs) – those that arrive at high velocity from outside of the Solar System. This latter category is especially dangerous since they impart a lot of energy when they strike the human body, can cause damage to DNA and are hard to shield against. What’s more, this calculation does not even include time spent on the planet’s surface. Although Curiosity has already determined that planetary levels were within human tolerances, the combined dosage would surely lead to a fatal case of cancer for any career astronaut looking to take part in an “Ares Mission”. Cary Zeitlin from the Southwest Research Institute in Boulder, Colorado, and colleagues reported the Curiosity findings in the latest edition of Science magazine. They claim that engineers will have to give careful consideration to the type of shielding that will need to be built into a Mars-bound crew ship. However, they concede that for some of the most damaging radiation particles, there may be little that can be done, beyond delivering them to Mars as quickly as possible. This presents an even greater challenge, which calls for the development of something better than existing propulsion technology. Using chemical propellants, Curiosity made the trip in eight months. However, the good news is that at this juncture, nothing is technologically impossible about a manned Mars mission. It’s just a matter of determining what the priorities are and putting the time and money into developing the necessary tools. Right now NASA, other space agencies, and private companies are working to bring Mars within reach. And with time and further developments, who knows what will be possible by the time the 2020’s roll around? Some alternatives include plasma and nuclear thermal rockets, which are in development and could bring the journey time down to a number of weeks. 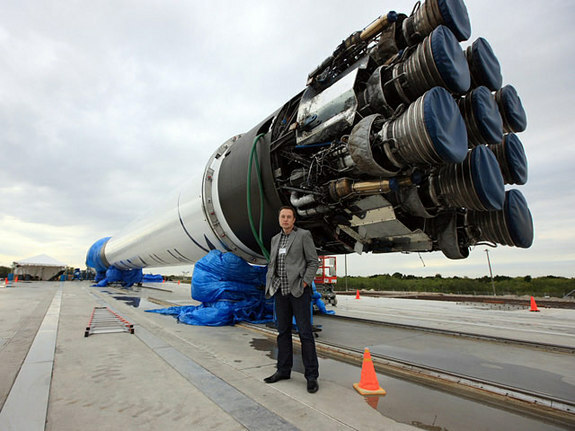 What’s more, SpaceX and other agencies are working on cheaper deliver systems, such as the grasshopper reusable rocket, to make sending ships into space that much more affordable. In addition, concepts for improving radiation shielding – like Inspiration Mars’ idea of using human waste – are being considered to cut down on the irradiation factor. 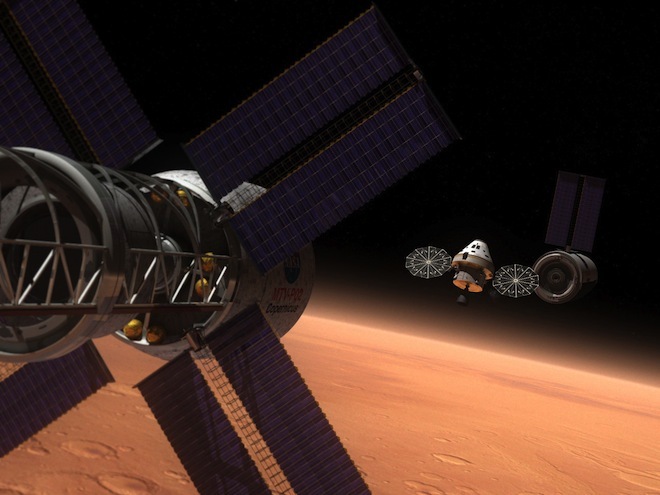 So despite the concerns, it seems that we are still on track for a Mars mission in 2030. And even if there are delays in the implementation, it seems as though a manned mission is just a matter of time at this point. Red Planet, here we come! The radiation exposure is very concerning because it’s very limiting in many ways.